1. Enter our Sribulancer website, click the "Register" button that is placed on the upper right corner. 2. 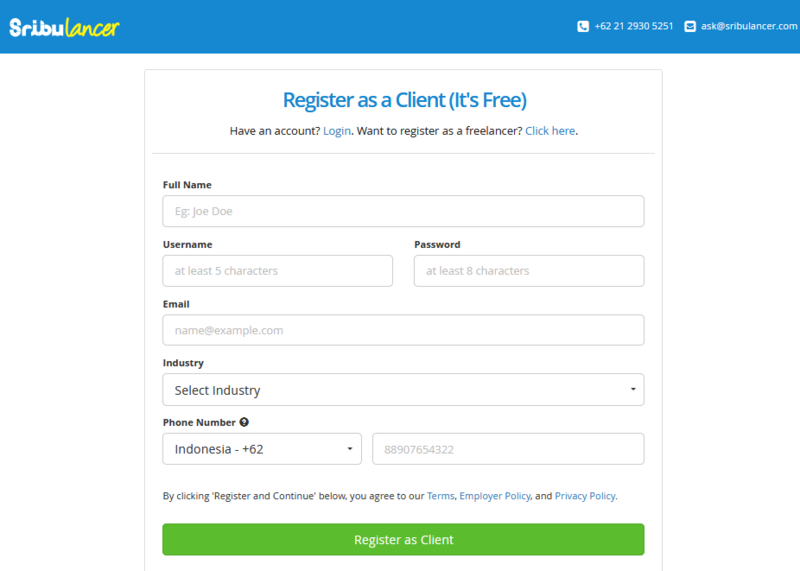 You'll be directed to our registration page where you can select the right button "Register as Client". 3. Fill out your personal information in the space provided. Once you're done, click "Register as Client" to continue. 4. Once you've registered as a client, you'll receive a verification email from Sribulancer. Follow the link given to verify your account. If you haven't received it yet, please check the spam/trash folder on your email account. 5. Congratulations! 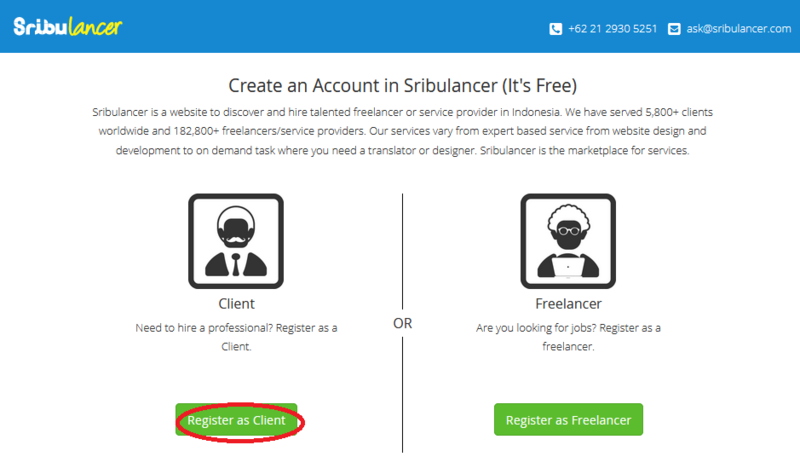 You are now registered as a Sribulancer client. 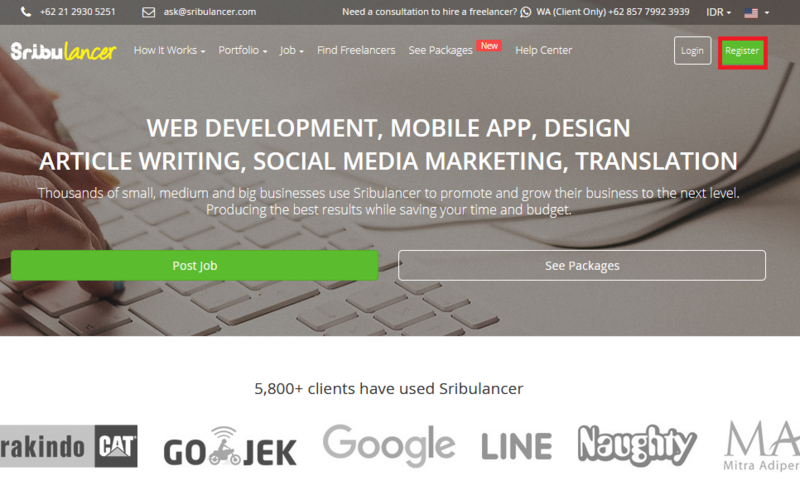 Complete your profile and find the freelancers to help with all your business needs!